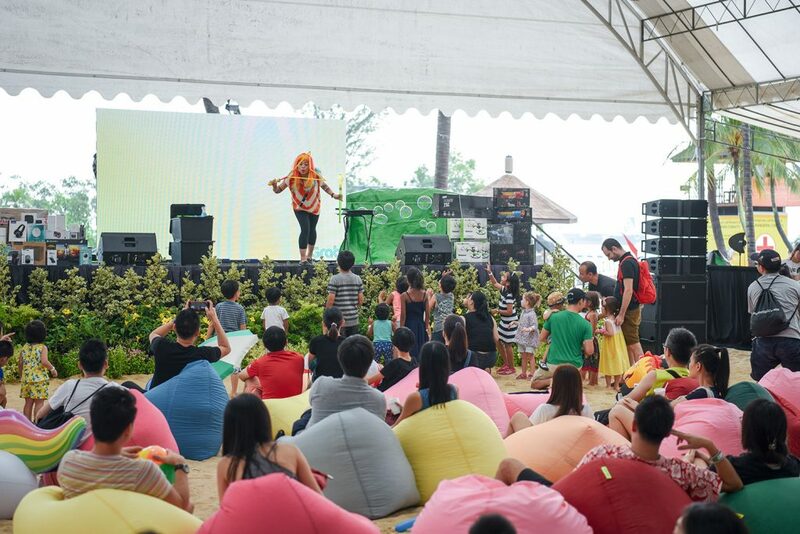 Last weekend, Grab held its first ever Grab Fiesta — a company-wide event celebrating our people (Grabbers) and their loved ones. 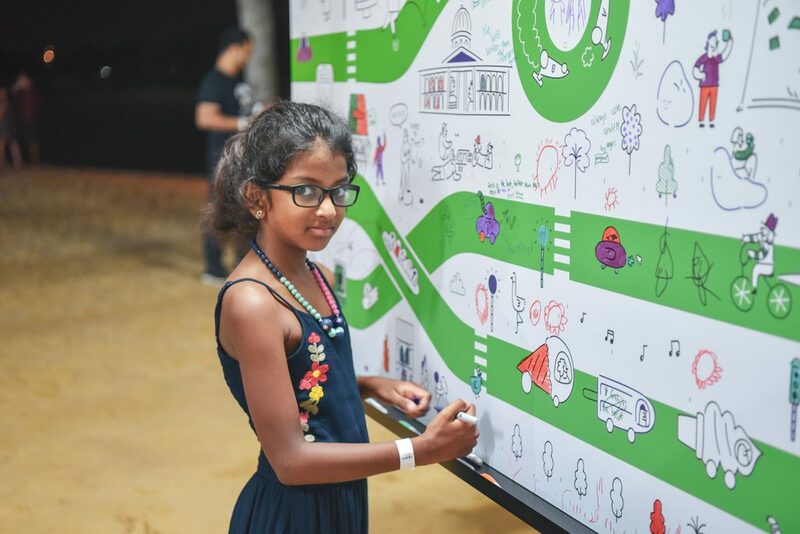 Held at Singapore’s Siloso Beach, the event played host to 1,700 attendees on a fun-filled day packed with activities, workshops & performances for the whole family. If there’s one thing Grab is familiar with, it’s growth. We have grown so much since we started back in 2012 — and it’s about time we recognised the wins, the highs and the sheer dedication each and every one of our 5,000-strong team has put into getting Grab to where it is today. On that note, Grab Fiesta was born. Fiesta /fɪˈɛstə/: Festival in Spanish. More so, we wanted a celebration — to recognise the past 5 years of hard work and dedication put in by our Grabbers, and notably, the unwavering support our loved ones have given our Grabbers. 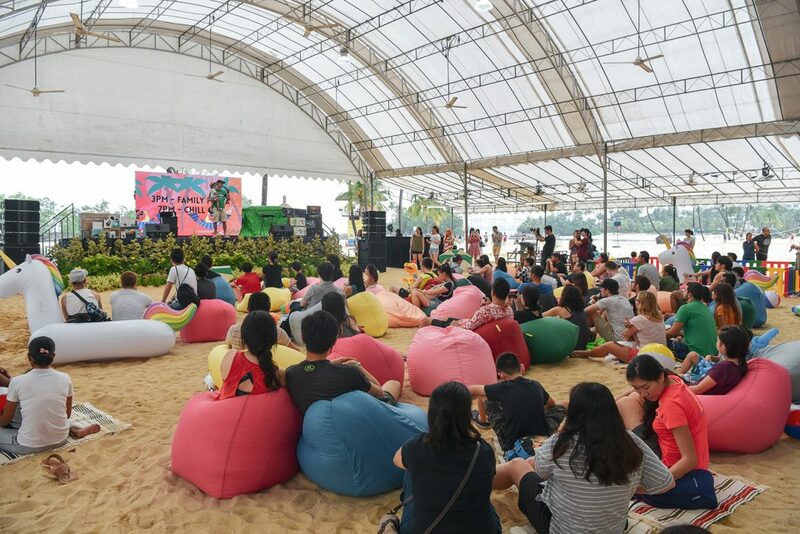 In an all-out beach party that lasted through sun (and rain), Grabbers from every department and level came in tow with their little-ones and plus-ones to take part in a flurry of activities, workshops and performances. The day started out with some much needed one-on-one time. 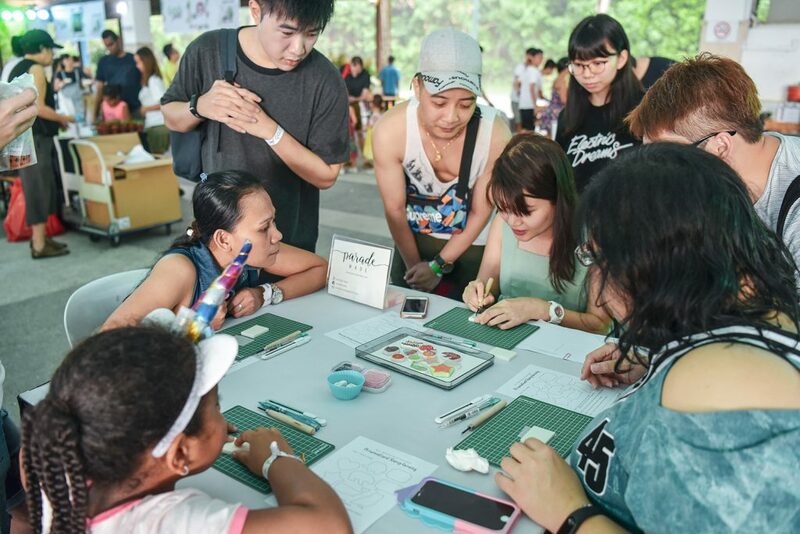 Our Grabbers signed up with their friends and families for a range of workshops: from Stamp-Carving to Terrarium-Building, and even Candle-Making. If handiwork isn’t your cup of tea, get down to chilling in our sea of beanbags and floaties, while the kids go off to play. Our ‘junior’ Grabbers had tons of fun at the sand pits, balloon-sculpting booths, inflatable bouncy castle and an interactive bubble show! Needless to say, this wouldn’t be a Grab event if our culture principles were not called into play! 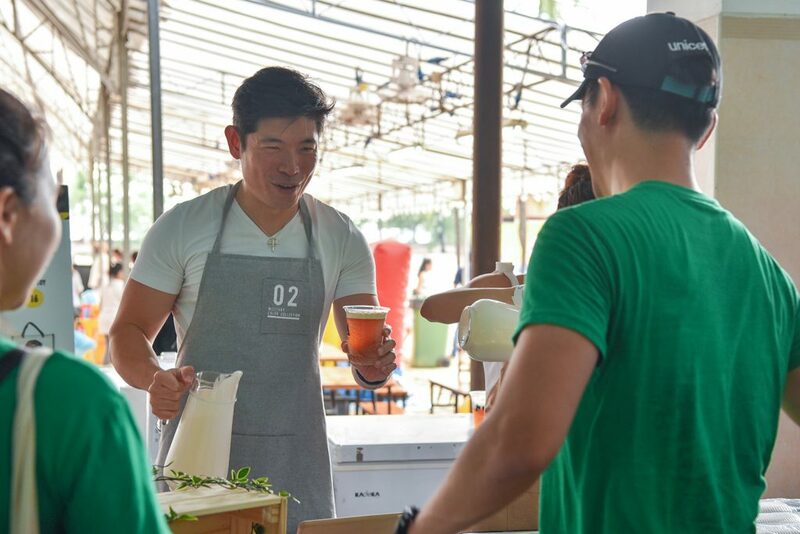 In the spirit To Outserve, our leaders also stepped up to serve butterbeer to our Grabbers. 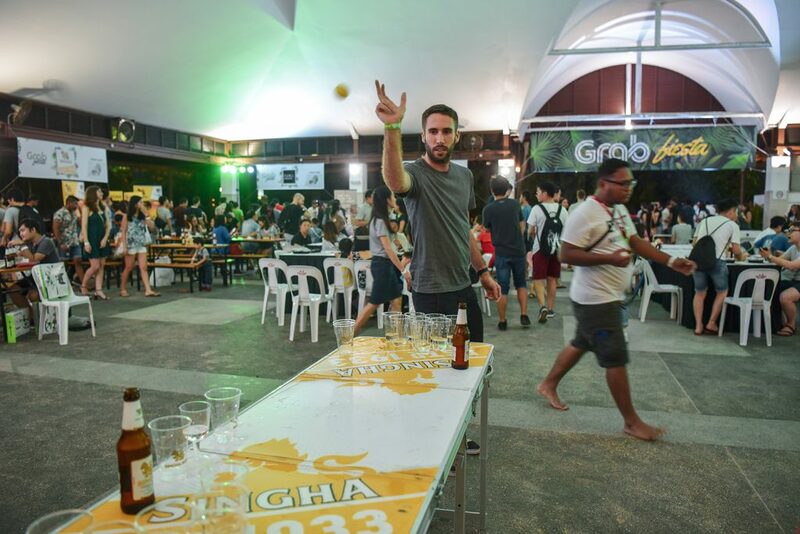 And last but not least, our dear Grabbers were treated to live music acts, an after-dark rave party (complete with free-flow beer) and an unforgettable lucky draw. With bodies all worked out, but spirits higher than ever, we’re heartened to see our Grabbers and their loved ones head home with nothing but smiles on their faces (+ some cool Grab swags and prizes). The interactions we share, be it with our friends, families or co-workers help us to become better versions of ourselves at work and beyond. And we are humbled that Grab Fiesta was the place for that and more. So here’s a big thank you — to the ones who matter the most to us, our Grabbers and their loved ones.